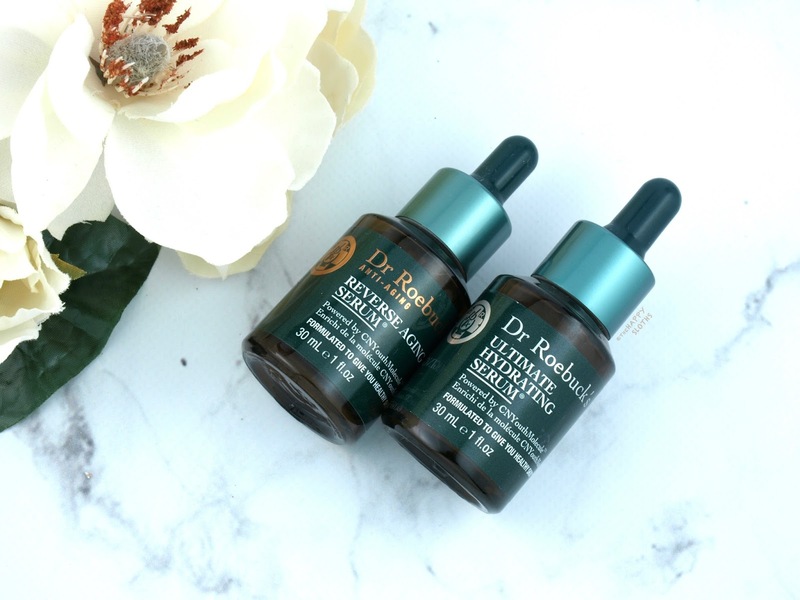 Housed in a 30ml glass jar with a dropper applicator, the Dr. Roebuck's serums are formulated with a special base made with aloe juice, creatine (amino acid), carnosine (antioxidant), hyaluronic acid, vitamin A, C, and E. The Ultimate Hydrating Serum ($70 CAD) is also infused with ubiquinone (an anti-wrinkle antioxidant) while the Reverse Aging Serum ($80 CAD) has added evening primrose oil and borage seed oil. In terms of texture, both serums have a viscous and slick formulation with a subtle floral-herbal scent. Dr. Roebuck's recommends using three to five drops after cleansing and toning, followed with your regular moisturizer. However, I've been simply mixing it with my Belif Moisturizing Bomb to cut down on the steps in my skincare regimen. I like that the formulation is non-greasy and lightweight. However, the serum does seem to leave behind a thin texture that will rub off in little bits if you touch your face a lot. Therefore, I've been opting to use both for only the night time. In terms of effectiveness, both serums are highly hydrating, making my face feel and look super plump and nourished in the morning. The Reverse Aging Serum, in particular, has been amazing to my skin. 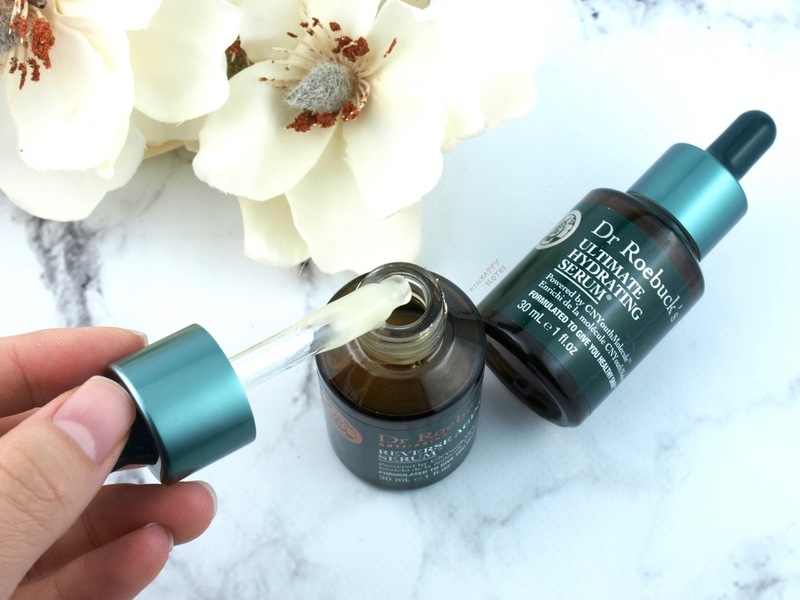 I don't have many wrinkles so I can't speak to its anti-aging properties but my skin has seriously been looking and feeling so much better with this serum as part of my nightly routine! Overall, I highly recommend these serums. Even if you aren't struggling with many skin concerns, these will provide the nourishment and care it will definitely appreciate! 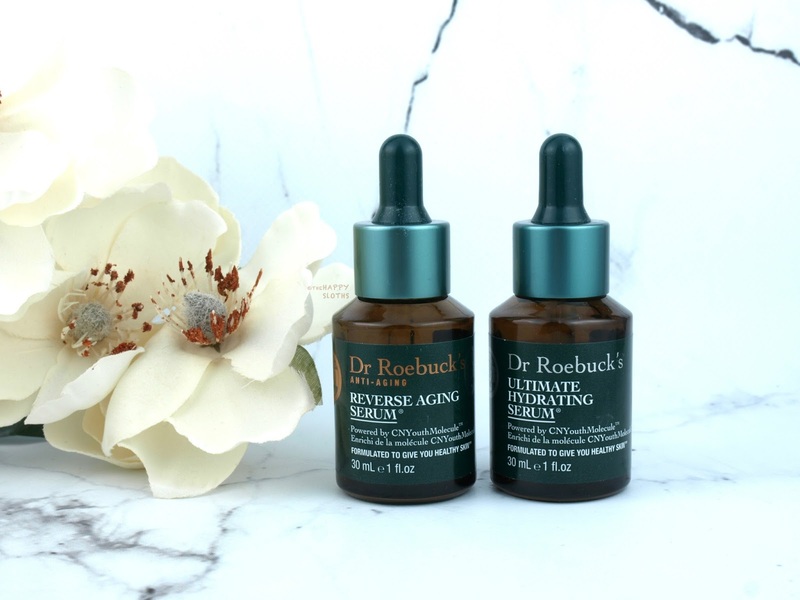 Dr. Roebuck products are available online at Sephora in the United States and in stores at Shoppers in Canada.